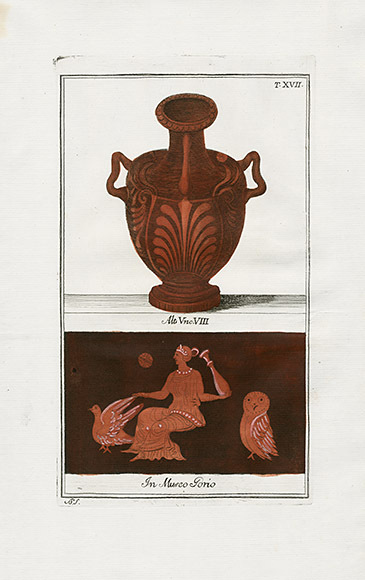 These superb engravings are from an influential three volume publication illustrating 249 vases from important collections all over Italy. 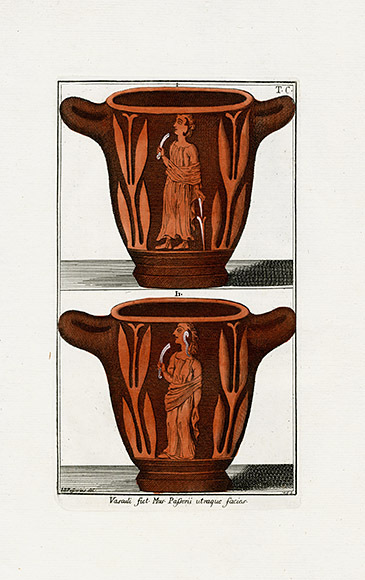 Many of these vases were housed in the Galleria Clementina of the Vatican Library. 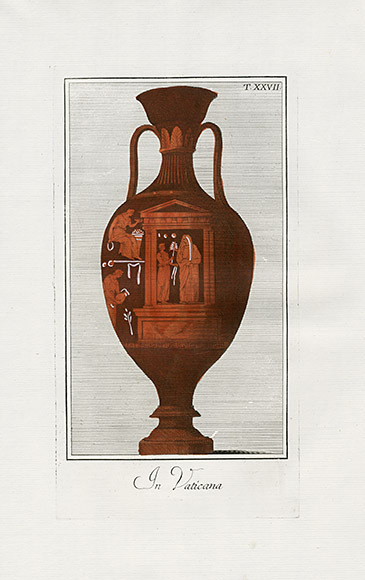 Sadly, many of the vases illustrated in this work have been lost, making this Italian vase collection by Passeri not just beautiful, but illustrations of lost artifacts gone forever. 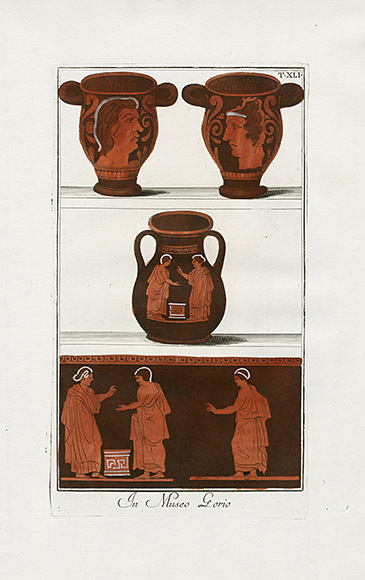 These drawings were so well detailed and accurate that scholars were able much later to identify 30 of the vases which had come into the possession of the British Museum as the very subjects from this work. 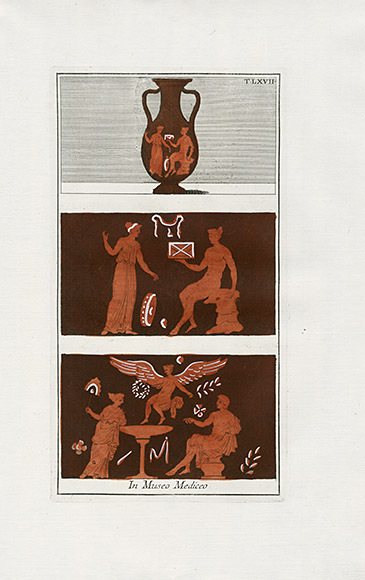 The same 30 vases were to eventually stir global interest in Etruscan Vases at the splendid Vases and Volcanoes exhibition at the British Museum in 1996. 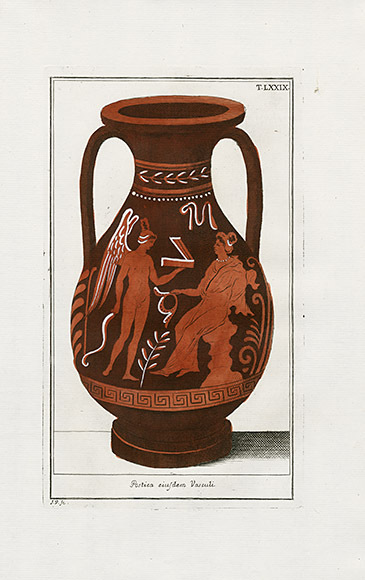 Giovanni Battista Passeri (d1679). 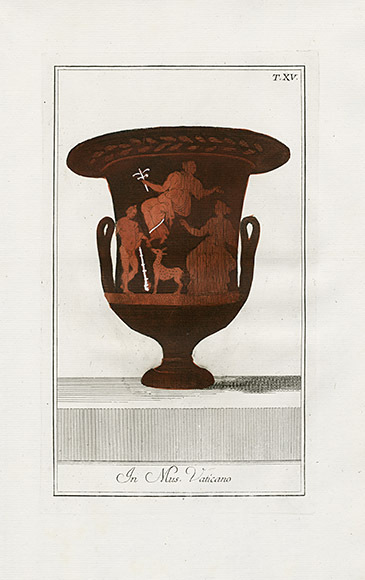 was born in Rome and came to be the antiquary to the Grand Duke of Tuscany. 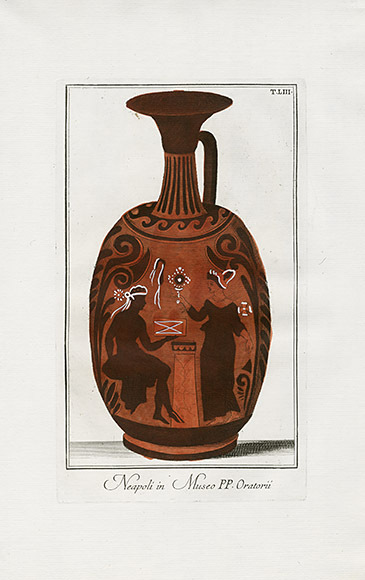 He wrote many treatises touting Etruscan culture to be far superior to his own; this belief was the inspiration for this collection of vase engravings. 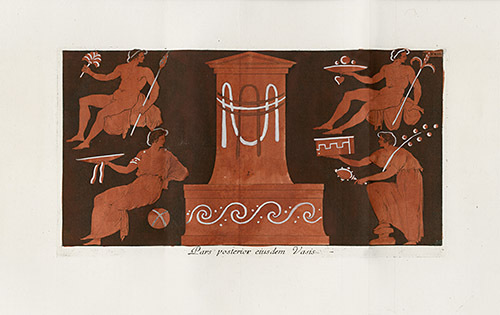 Many of Passeri's drawings and paintings are in Museums around the world including the National Gallery of Ireland and the British Museum. 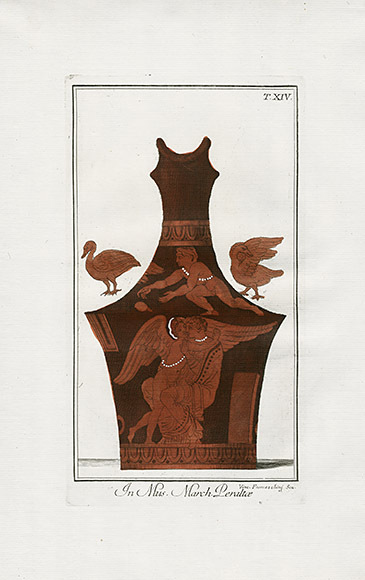 Passeri's studied under Domenichino a famous Italian Baroque painter. 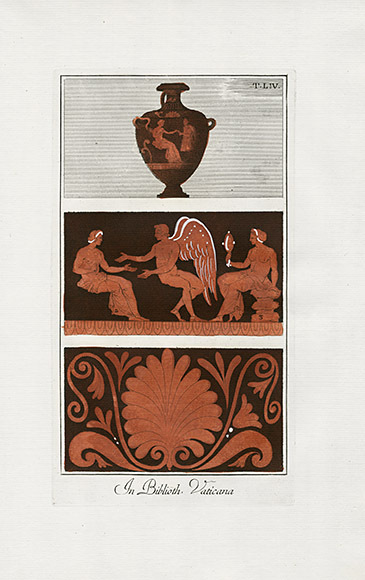 This work was published almost one hundred years after Passeri's death by the Monaldini booksellers. 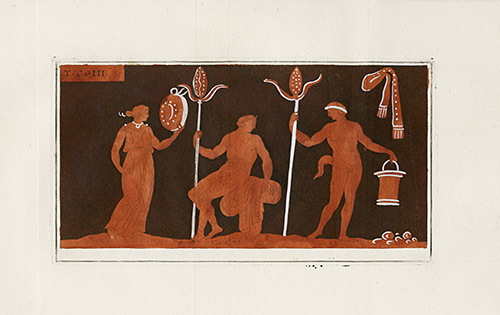 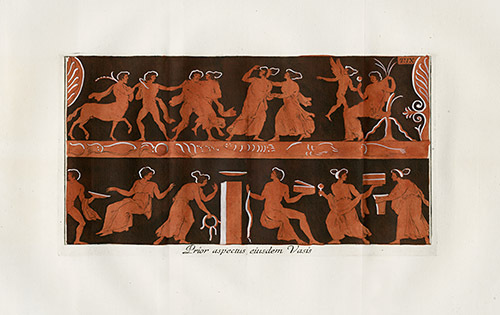 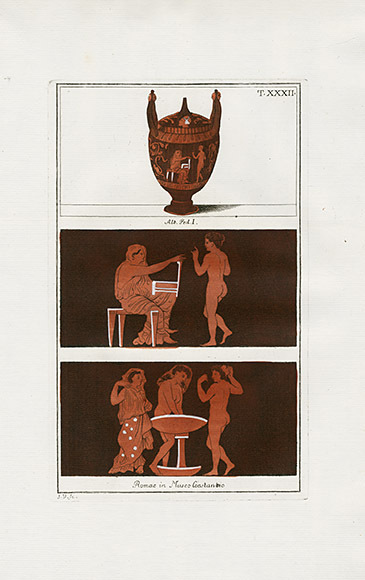 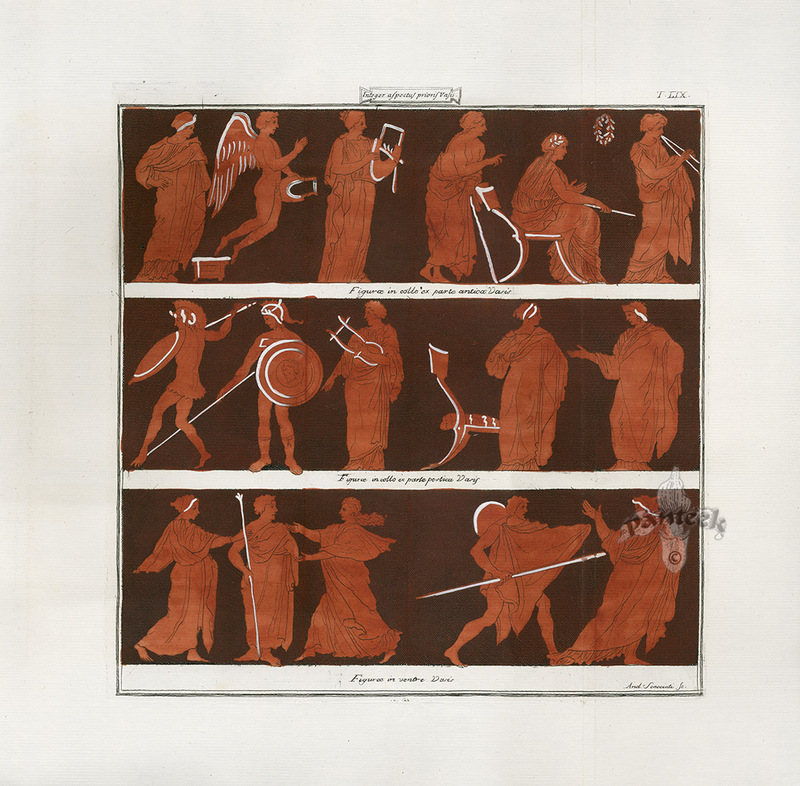 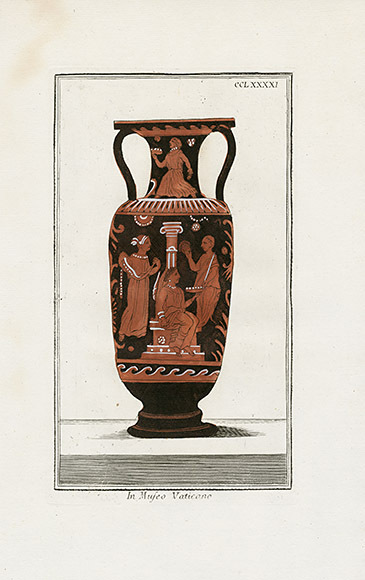 Passeri made 221 engravings of other Etruscan artifacts as well, it is believed by many that Passeri wanted these later drawings to be published as volumes four and five. 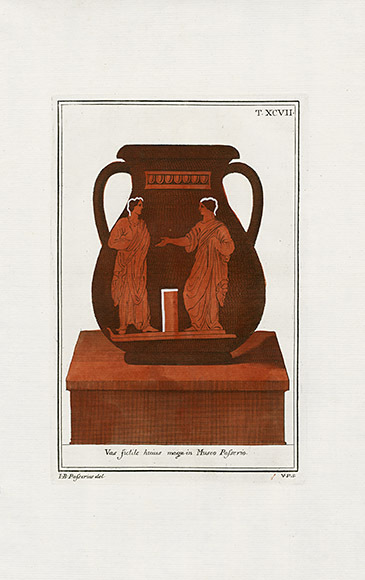 Unfortunately, those later volumes were never published as engravings. 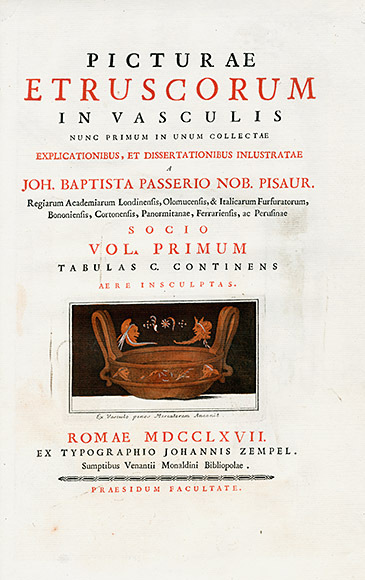 In 2008 however, Masci M. Emilia published a reproduction book titled Picturae etruscorum in Vasculis: la raccolta Vaticana e il collezionismo di vasi antichi nel primo Settecentoof . 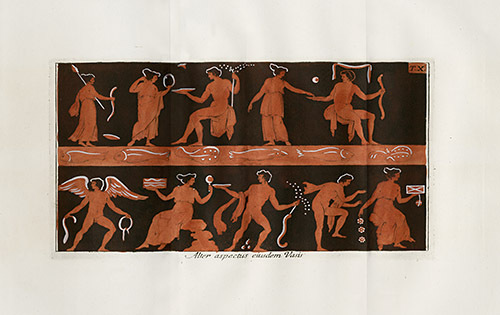 This book has all of Passeri's published Etruscan drawings and includes the 221 unpublished engravings. 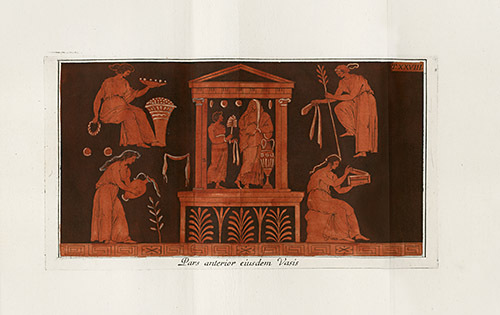 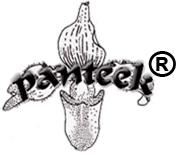 The engravings are on sumptuous high quality, chain lined paper with old hand colouring and wide margins. 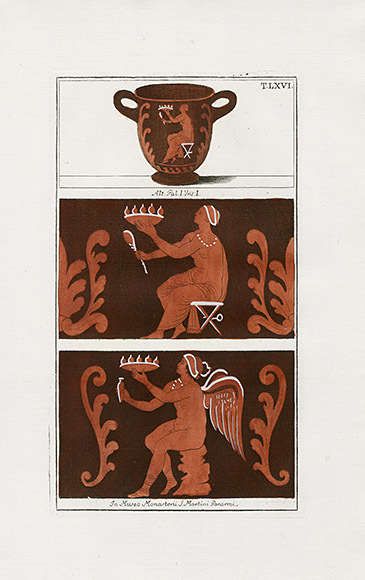 They are superbly decorative.